Ronnie took part in this exhibition match in Prague with Neil Robertson on Friday 28 November 2008. It was the first time Ronnie had played in the Czech Republic. The event itself was an enormous success, with a sell out crowd of nearly 2000 people to watch the current World Champion play against the current Bahrain Champion. Both Neil and Ronnie enjoyed the tournament immensely. Neil said: “The people are excellent and I have enjoyed my time here. 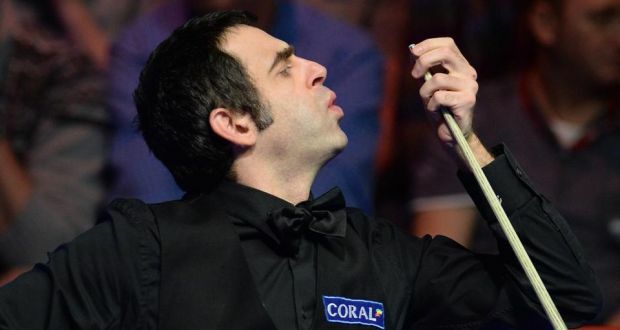 Ronnie added: “The arena is great and it’s been a long time since I played in front of such a large crowd. “It’s the first time I’ve seen people clapping every shot from start to finish. After the end, the players spent time with VIPs and fans signing autographs and chatting.